The electrolytic capacitors are made of metal foil with a thin surface of metal oxide film. One of these plates is coated with aluminium oxide material. This becomes the positive plate of capacitor. The oxide layer acts as a dielectric material for the capacitor. The electrolytic capacitor has polarity marking on their case. While installing an electrolytic capacitor, the positive lead must always be connected to the most positive lead of the two connections. When connected in reverse polarity, electrolytic capacitors emit gas, which expands in its sealed container resulting in explosion and damage of capacitor. Leakage current: The electrolytic capacitor has high leakage current, since the oxide film in not a perfect insulator. 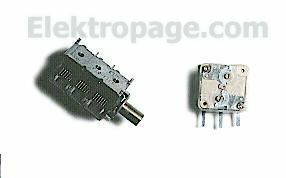 The leakage current is typically 0.1 to 0.5 mA/µF. A thin plate of ceramic is metallized on both sides to make a ceramic capacitor. Connecting leads are also soldered to the metallized area. 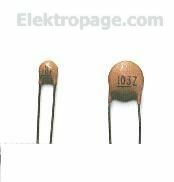 The body of the capacitor is coated with varnish to give a hard and glory look and marked with capacitance value either using numerals or color-coding. The color-coding is the same as used for the resistors. 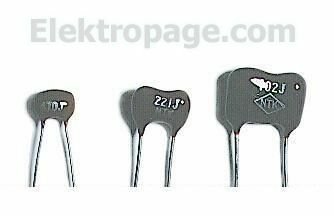 This type of capacitor features capacitance values up to 0.01µF.This capacitor has the same applications as mica capacitors but are smaller. The mica sheets as dielectric are stacked between tinfoil sections for the conducting plates to provide the required capacitance. Alternate strips of tin foil are connected together and brought out as one terminal for one set of plates, while opposite terminals conneet to other set of interlaced plates. Entire unit is molded in Bakelite case. 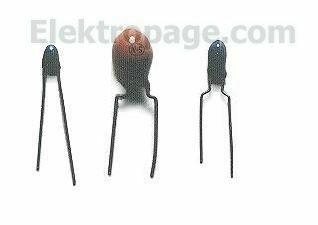 Mica capacitors are used for small capacitance value of 50pF to 500 pF. In this, two rolls of tinfoil conductor separated by a tissue paper as insulator are rolled into a compact cylinder. Each outside lead connects to roll of tin foil as a plate. The entire eylinder is generally placed in cardboard container coated with wax or enclosed in plastic. 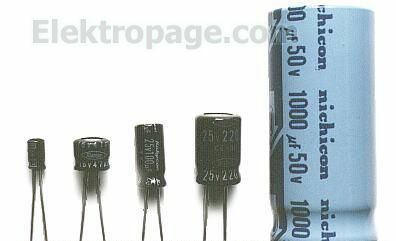 Paper capacitors are always used for medium capadtance values of 0.001µF to 1.0 µF. of 0.001µF to 1.0 µF values like paper capacitor. In turıing circuits, the value of the capacitance needs to be changed. In such capacitors, air is the dielectric and such capacitors are called air gang capacitors. By rotating the shaft at one end, we can change the common area between the movable and fixed set of plates. The greater the common area the greater is the capacitance.